FM H24-66 No. 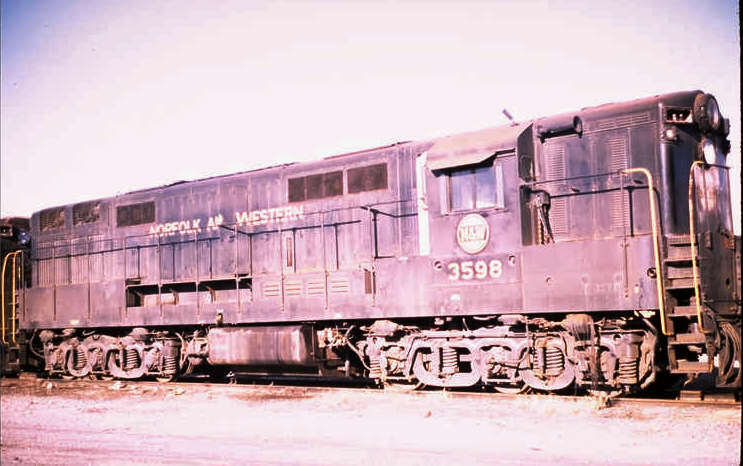 3598 (ex WAB598) at Bellevue, OH. This unit was repowered by Alco.